Hope you all are having a great day! 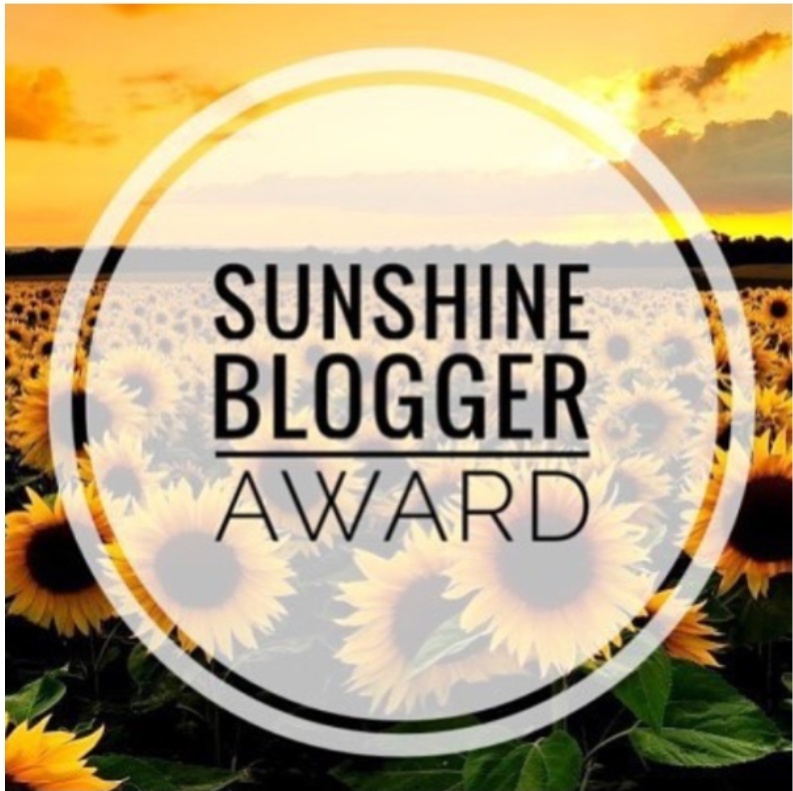 I have been nominated for the sunshine blogger award by a wonderful fellow blogger kranti. She is a sweetheart and I would like to thank her for appreciating my work and considering me worthy of this awesome award. She has an awe-inspiring blog filled with inspiration and positivity. You should totally check out her posts as they are worth seeing. 1 One memory which brings smile on your face ? – Whenever I think about my school days, it brings beautiful memories and smile and that makes me really really happy. 2. What encourages you the most to keep blogging? – Blogging has helped me increase my confidence. Earlier I knew, I wanted to write and share my thoughts with others someday; but that someday could never come as I was not confident enough to share what’s on my mind. But I think I have managed to overcome my fear and anxiety quite well. Which motivates me to write more. 3. One thing you want to change here in blogosphere? – Nothing! I totally love it in every way. 4. What makes you cry easily? – Honestly! I am quite emotional and sensitive. So, I cry when the pressure hits or when things won’t work out. And I feel it’s totally okay to cry when we feel bad. It’s not a weakness rather it makes us feel better and calm afterwards. 5. What is your Passion? What does it mean to you? – I try to give my best at everything I do. Be it writing or other things. Which I guess describes my passion. 6. What would you love to hear Flattery or bitter truth? – I think we all love to hear nice things about us from other people.Hearing the bitter truth might feel like punching the person right in the face and hug him all at the same time. But we need to hear it ( no matter how harsh it is ) in order to learn and grow. It’ll always push us forward. 7. One thing that you have learned here in blogosphere? – Blogging here has helped me to open up and express myself. I have learned to share my thoughts and views with others without the fear of being criticized or judged. I have also learned to interact and connect with people who have there own awesome blogs. So, yes! I have learned a lot. 8. Describe yourself in one word? 9. Which kind of blogs you like to read? – I try to read as much blogs as I could whenever I get time. I like to read blogs about poetry, stories ( fiction and non-fiction), self development, motivation, traveling etc. 10. What is your expectation from yourself? – I do not have any big expectations from life . I just find myself happy with simple things. I want to be good and do good. That’s it! 11. According to you what is the key to a successful blogging? – I think blogging is more about giving and sharing. Like in what way we can help the person reading our blog. It’s more about connection we build through our writing. The kind of impact we leave on people through our posts. Everything matters! Who is your ‘Role Model’? One memory which brings smile on your face? Thanks for reading!❤️ I look forward to all your answers. Thank you! you deserve it 👍.That’ll be great☺️. Thanks lot for nominating. Since I’ve already done the same award just few days ago I’ll answer here. 1. No one specific. I don’t aspire to be like anyone. 4. I’m very patient with people. 5. Life in general. Don’t have much people to talk about my opinions so blog becomes the way. 6. Well I do love my best friend and i hope by live will also be like my best friend. Congratulations Aditi. Loved your answers.